In a large sauce pan over medium heat, bring to boil the arborio rice, the coconut milk the vanilla essence and the sugar. Stirring constantly the first few minutes to make sure that all the ingredients combine well. Reduce the heat to low, cover and let simmer for about 25-30 minutes. Stir occasionally to prevent the bottom from sticking. Once the rice is tender thick and creamy remove from the heat. 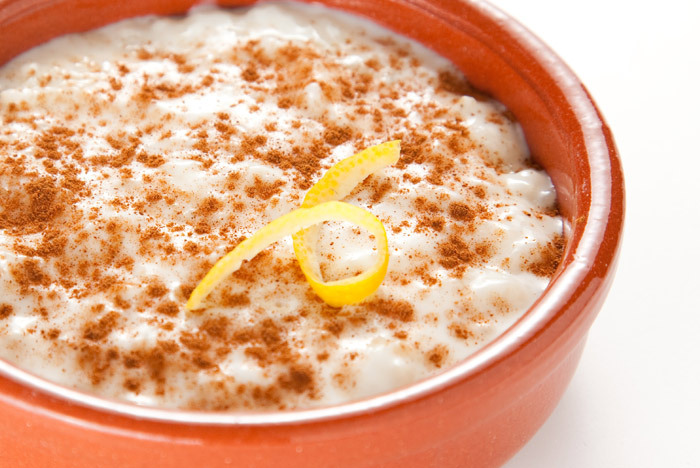 Spoon the rice pudding into individual serving dish and dust with the cinnamon, put under the grill for a couple of seconds. Best if served warm and why not add a scoop of vanilla ice cream! Previous postPizza verde Next postThe Espresso is UP!